From Titan. The second wave of Yellow Submarine Titan figures are sailing out of Titan HQ! 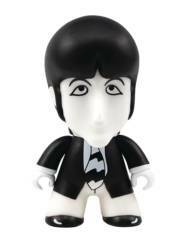 Series 2 features the Fab Four in glorious black and white and some wild new Yellow Submarine variants. Each figure measures approximately 4.5'. Welcome back to Pepperland! All together now!